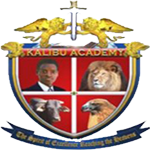 Kalibu Academy presently caters for upwards of 800 students. All students must have satisfactorily completed primary school and sit for a Kalibu Academy entry test designed for the individual’s level of entry. Space is offered to students from other SADC countries and even abroad but this is ostensibly an Academy for Malawians. Applications must be made on official Academy Registration Form 1A. This must be done only after parents have been informed of the outcome of the entry examination. Completed form 1A must be returned by postal mail or hand delivered to the Academy together with a MK20,000.00 non-refundable admission fees. Entry Examinations are written on a date set and advised by the Academy and consist of four 30 minute papers covering English, Mathematics, Physical Sciences and General Knowledge. A letter of acceptance or refusal may be mailed to applicants but usually results are given immediately after the Entrance Examination has been marked. Parents of accepted students and the students themselves are required to sign ADMISSIONS Form 2A detailing that they have read the RULES FOR STUDENTS and that they accept the rules and agree to abide by them. All fees must be paid in cash directly to the Academy bursar by the OFFICIAL REGISTRATION day of school of each term. Failure to pay fees will mean a child will not be admitted to class. A copy of any recent school report. Character reference letter from former school . No cell phone and calculator allowed.